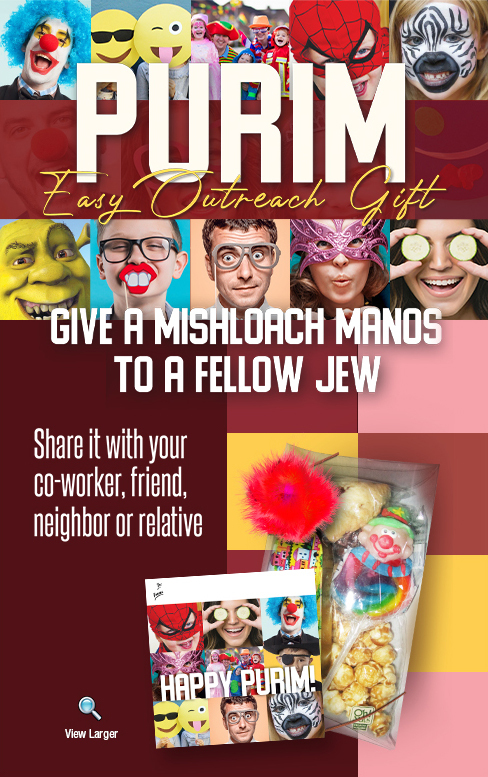 2 hamentashen, personalized chocolate bar, clown lolly pop, mask, and grogger, plus a user-friendly Purim message. Hechsherim are and CRC. All items are parve. You can add your own personalized message to the card. or order online and we'll deliver it for you.